Are non organic foods as healthy as the more expensive organic foods? What is the difference? To involve yourself in this debate, it is helpful to understand what exactly a non-organic food can be. 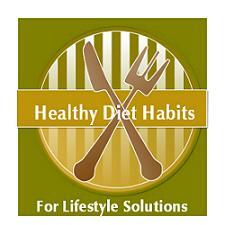 From here you can decide if purchasing non-organic foods is a healthy diet habit for your family! Pesticides and Herbicides: These leave toxic residues on foods, and can build up in your body and lead to disease. Not knowing much more than this simple information has been enough for many people to desire to switch to organic products. Most of us do not want to eat toxic chemicals, hormones, and antibiotics, and we certainly do not want to serve them to our children. Our kids trust us, and we need to be conscientious and earn their trust! See Healthy Kids! Are toxic and can lead to disease. Some pesticides contain a toxic herbicide called glyphosphate. It is sprayed on non-organic soy and other crops. Non-organic soy is used in much of processed foods. Glufosinate (Basta) is used in non-organic sugar beets and canola. It is toxic and can cause birth defects. (See Healthy Infants) Sugar beets are being used instead of sugar in processed foods because they are cheaper to produce. Malathion is a pesticide that leads to serious health problems. Many other pesticides are used that are toxic. Many of them are banned for use here in the US but not in other countries. 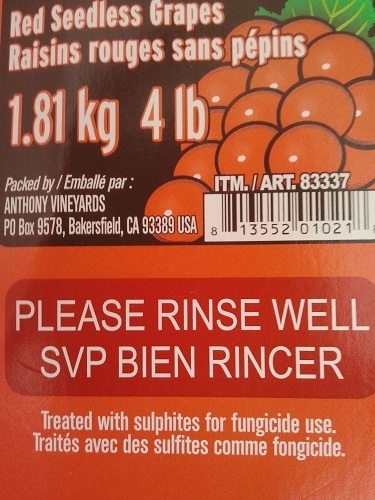 We import the products that carry pesticide residues. The government considers certain levels of pesticides acceptable. I am sorry, but this does not seem right to me, especially when you hear that many farmers do not eat the products they sell, but have their own private organic gardens! Buy Organic Foods! Another name for sewage sludge is biosolids. These come from waste treatment plants which process human waste, industrial waste, and toxic chemicals. The leftover sludge can contain 60,000 different chemicals, including very toxic ones. It is expensive to get rid of this sludge, so the EPA allows it as fertilizer. There is conflicting research on the safety of bio-solids, and not all of the chemicals are even tested for. The EPA is encouraging the use of biosolids as fertilizer in non-organic crops. No more information needed on this one. Buy organic foods! Meats, dairy, and eggs that are non organic foods could have been fed antibiotics, hormones, ground up remains of other animals, and other substances. These chemicals are given to animals to fatten them up quickly. We eat these hormones when we buy the products. They are beginning to show some of these growth hormones raise your risk of prostate and breast cancer. My fear too is that if we eat meat and dairy given growth hormones, we are eating them too. Will that make us put on weight and grow also? Ditch buying processed foods and spend the extra money on Organic meats, dairy and eggs! The Lifestyle Solution is to avoid foods that are treated with these toxic substances and avoid non organic foods when possible. Buying foods certified organic, certified naturally grown, and from local farms that do not use pesticides, is the healthy diet habit. Organic foods will be produced without the toxic chemicals, taste better than non organic foods, plus may contain a higher nutrient content. They may be a bit more expensive, but are worth the added cost!